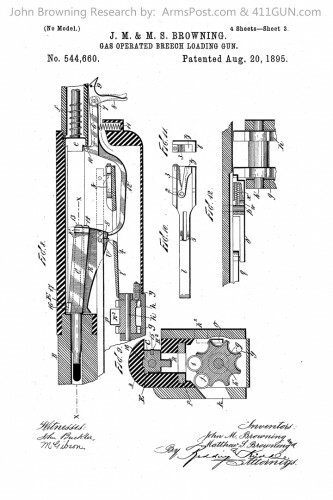 US Patent 544660 was for a Gas Operated Breech Loading Gun. 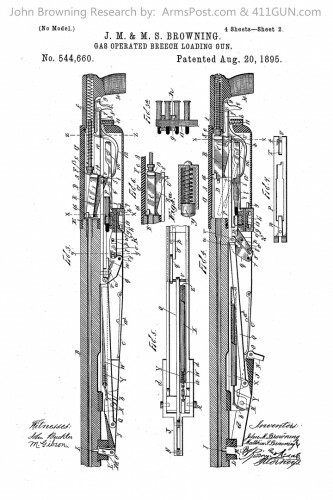 It was granted to John Moses Browning on August 20th, 1895. 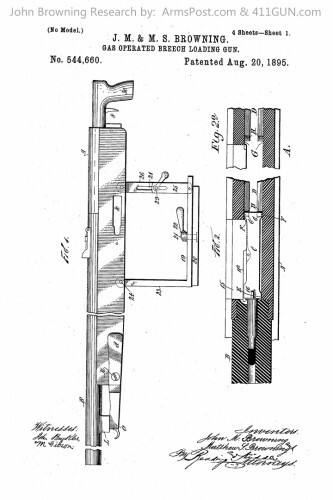 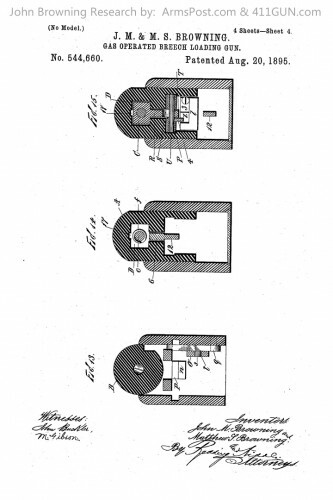 He had applied for this patent on September 11th, 1893.